D.J. is currently finishing his first term as a director of the Farmers Ranchers Co-op Board of Directors. He has served on sub-committees within the board, including the scholarship committee, Young Producers Program, nominating committee as well as the Legacy Initiative with the Nebraska Cooperative Council. Growing up just east of Long Pine, he attended Rock County High School. After graduation he acquired a degree in business from North East Community College while also serving with the Student Government. He spent three years working for the BNSF Railway, traveling across the Mid-West. During his time on the rail road he spent his off-time working on the family farm. D.J. and his wife, Chelsea, returned to agriculture full time in 2010 with his parents. Together they run a production corn and soybean operation. D.J. resides in Ainsworth with his wife Chelsea, who is an RN, and their two young children. They are members of the St. Pius X Parish. Frank Beel is in his 5th term on the board of directors serving as board Vice Chair. Frank grew up on the family ranch south of Johnstown and graduated from school in Ainsworth. 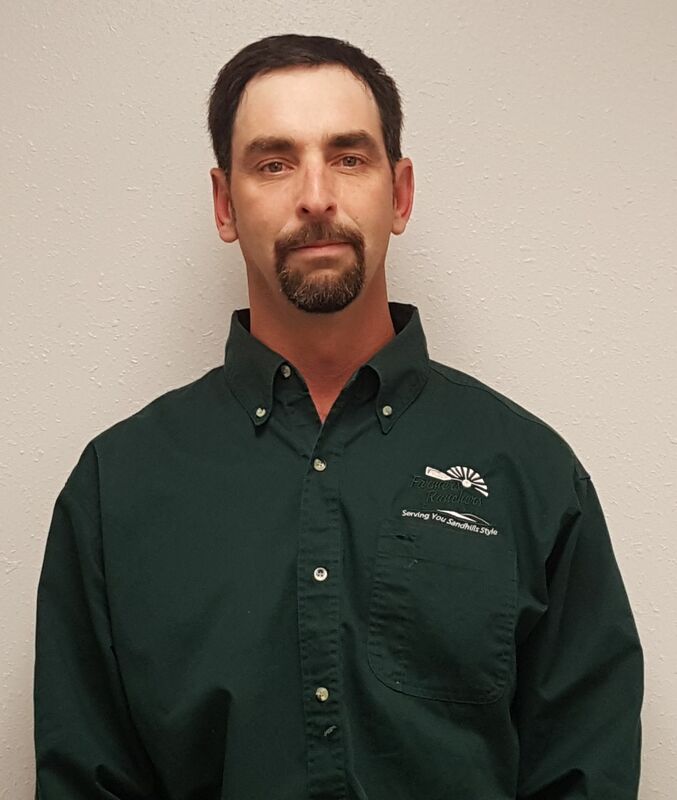 He is a graduate of Northeast Community College with a degree in Livestock Management. Frank is currently in partnership with his two brothers running a commercial cow-calf operation now in its 3rd generation. 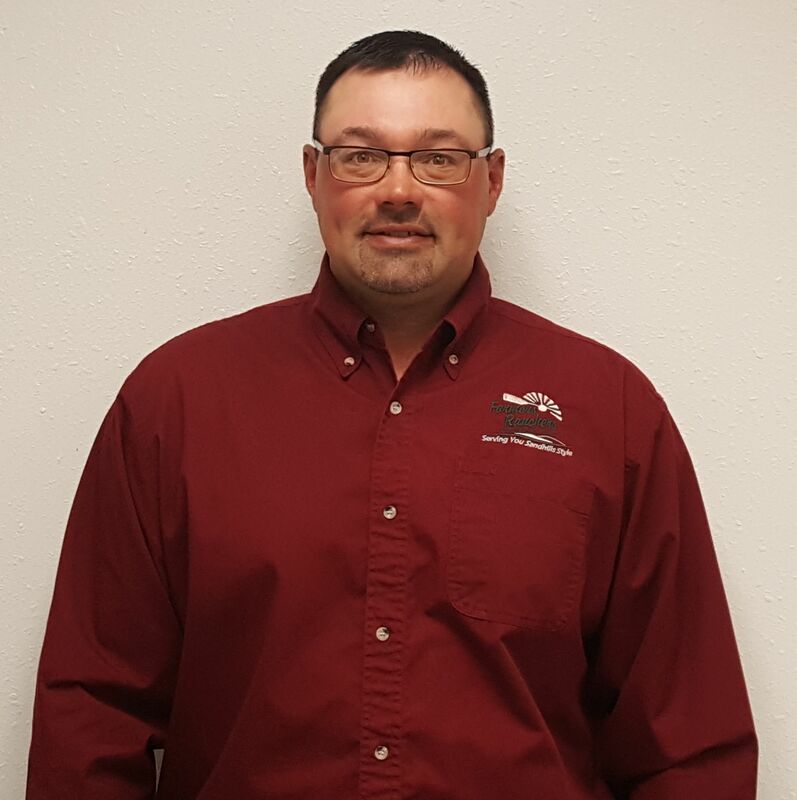 Frank has been involved with the Sandhills Cattle Association, Nebraska Cattlemen Association, Farm Bureau, and was a member of Nebraska Lead Class XXVII. Frank and his wife, Jennifer, are the parents of four daughters and they attend the Evangelical Free Church in Ainsworth. Mark is in his 2nd term on the board of directors. Mark and his wife Codi live near Johnstown with their two boys. Mark graduated from Ainsworth High School and then earned an Associate’s Degree in Automotive Technology at Northeast Community College. For six years after college he ran his own mechanic shop, and then he decided to return to the farm and ranch operation with his father Duane. Mark and his father back ground cattle and have a cow/calf herd. They harvest meadow hay along with some custom haying. He also raises corn and soybeans. Mark has been a member of the Johnstown Fire Department since 1999, during which he served as secretary/treasurer for seven years. Randal grew up on a farm near McCook, NE where his family had a diverse operation consisting of cattle, hogs, corn, soybeans, wheat, sorghum, and oats. He graduated from McCook High School and McCook Community College. 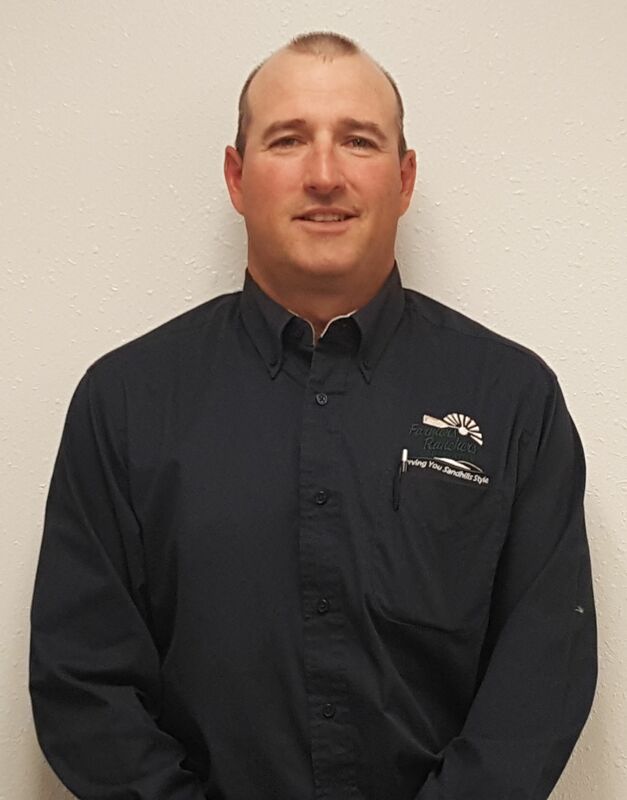 Randal has worked as a general contractor running his own construction business, for BNSF as railway conductor, and for 13 years for Frenchman Valley Co-op as an operations manager. Randal and his wife Erin are currently part of the family farm, Bejot Feedlots, where he serves as farm manager. This business combines a 12,000 head cattle feedlot with 3,000 acres of corn production. 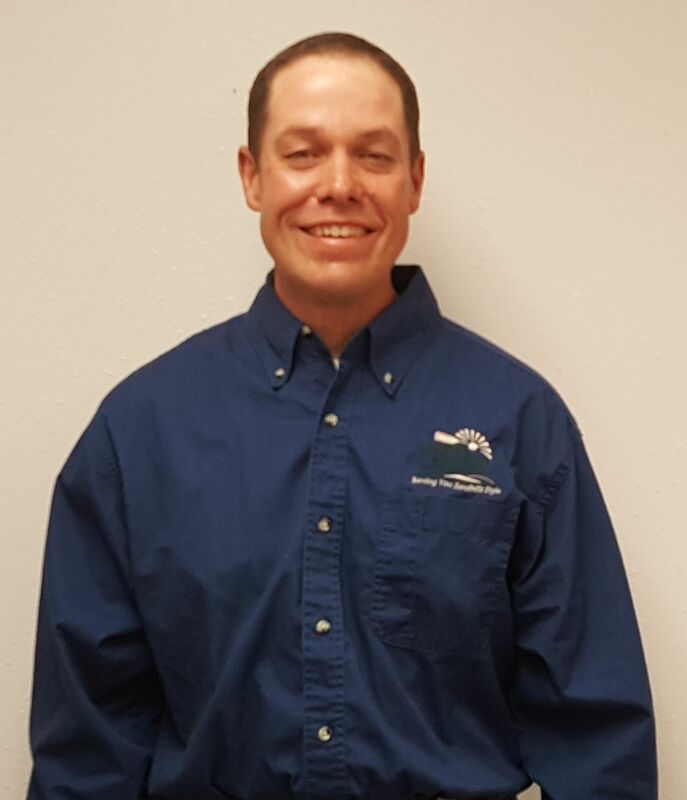 Randal has served on the safety board and as a representative for the Emergency Response Board while at Frenchman Valley and he has also been a hazmat technical trainer/instructor. Randal and Erin have 5 children and they also have two grandchildren. They are members of the Ainsworth Zion Lutheran Church. Julie is currently finishing her first term on the board of directors serving as Secretary for the past 2 years. She has served on sub-committees within the board, including the scholarship committee, nominating committee, and credit committee. She has completed all 4 phases of the Nebraska Cooperative Council Director Certification Program. Julie and her husband Tony operate Hayland Cattle Company, a cow-calf operation on the family ranch south of Ainsworth. They are the parents of two young boys, and they are the 5th generation to live on the ranch. Julie graduated from Ainsworth High School and then from University of Nebraska-Lincoln with a degree in Animal Science. Her previous employment experiences have included working for the Nebraska Corn-fed Beef Program, NRCS and Ainsworth Feed Yard. She currently works with her husband on the ranch as well as an independent contractor Beef Verification Specialist for IMI Global. She is president of the local Nebraska Cattlemen Affiliate, and in the past has served on the local extension board. Julie is a proud to be a member of the Nebraska LEAD Class XXVII. She is an active member of the Zion Lutheran Church and she serves as Director of the Little Lambs Preschool. 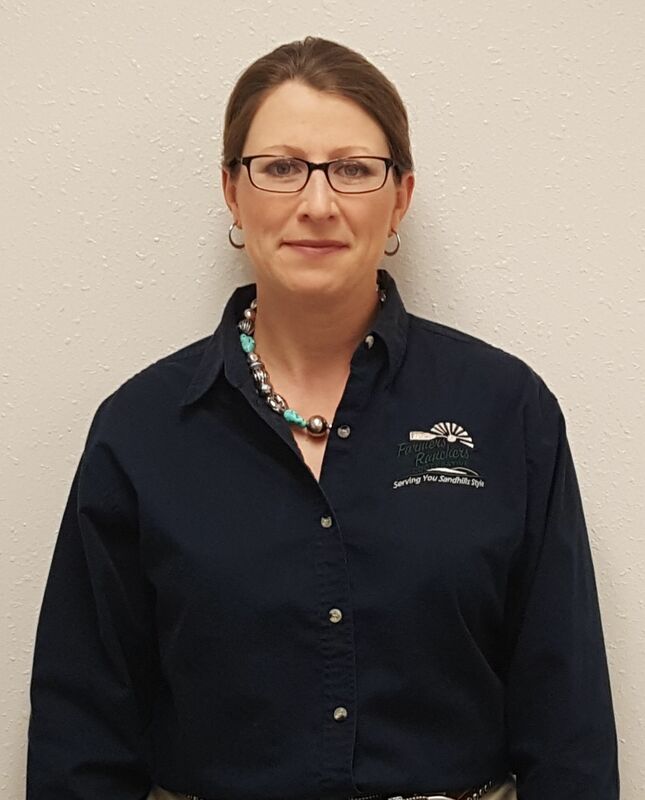 Julie is passionate about being involved in our community and has enjoyed serving on the board of directors and wants to ensure the success and longevity of The Farmers and Ranchers Cooperative. Keith and his wife Tami live on the family farm west of Bassett with their three children. Their agricultural operation is diversified and consists of corn, beans, alfalfa and other forages. They have a fall cow/calf herd and also purchase yearlings and background calves commercially. Tami is a 5th grade teacher in Bassett and their family enjoys sports, camping and muscle cars. Keith is a graduate of Bassett High School and the University of Nebraska-Kearney where he majored in computer science and education. Prior to returning to the family farm in 2001, he was an Ag lender at a local bank for 8 years. They are members of the Holy Cross Catholic Church in Bassett, were he was a past board member. Keith currently serves on boards for the: Sandhills Ranch Expo, Rock County Rural Fire Department and Rock County Revolving Loan Fund. 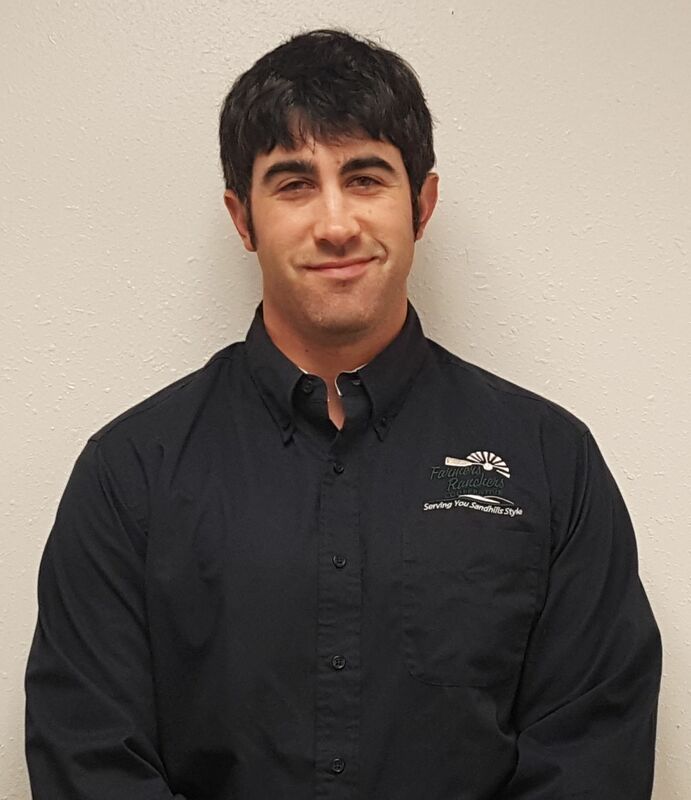 Ryan is currently is a banker with West Plains Bank-Springview where he has worked since 2007 as an Ag lender. Ryan graduated from Keya Paha High School and then attended Black Hills State University where he obtained a degree in business management. He continues to work on the family ranch and farm with his father, uncle and cousin. Their agricultural enterprise involves dryland and irrigated corn, alfalfa and feed crops as well as a spring cow/calf herd and backgrounding calves. 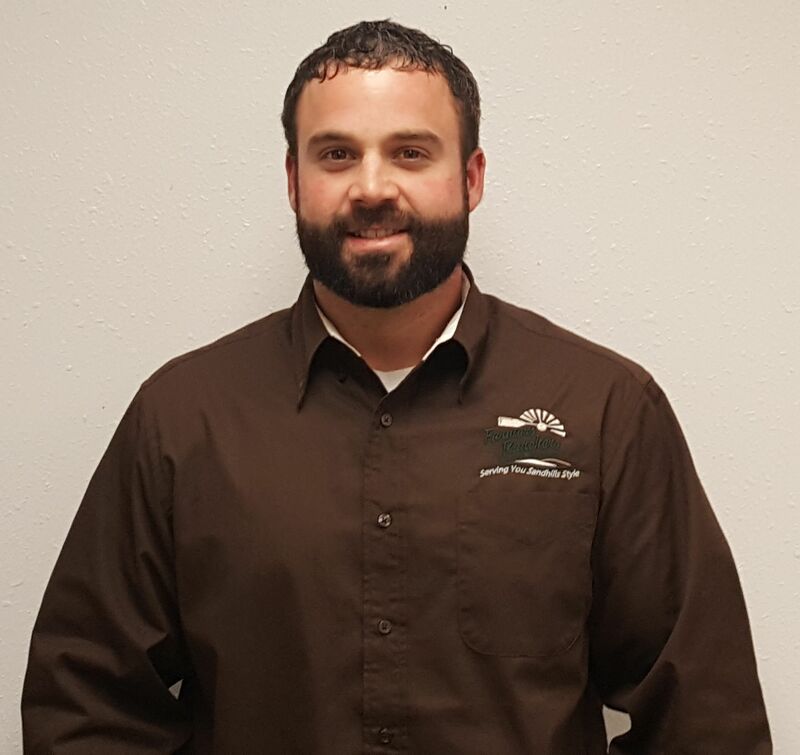 Ryan serves on the Keya Paha County Foundation, Career Fair Committee, Keya Paha County Revitalization Committee and as a Football Coach for the North Central Nights. Ryan has completed the Graduate School of Banking-Colorado. *This board member has completed all four phases of the Nebraska Cooperative Council Director Certification Program in his/her tenure with the CO-OP.